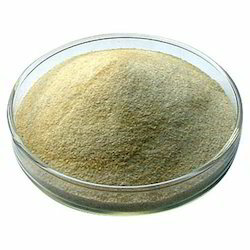 Prominent & Leading Exporter from Dhule, we offer sodium metavanadate. We have a complete devout in processing highly advantageous Sodium Metavanadate. Our professionals are highly trained and well versed with the evolving research needs. Owing to their expertise we take pride in presenting the most trusted grade of water-soluble inorganic compound sodium metavandate. The offered product is carefully processed under strict quality supervision and owing to the client-focused approach we are providing bulk quantities of this chemical in sturdy packaging at a leading price. Looking for Sodium Metavanadate ?